Looking for a more extreme underwater experience this summer? 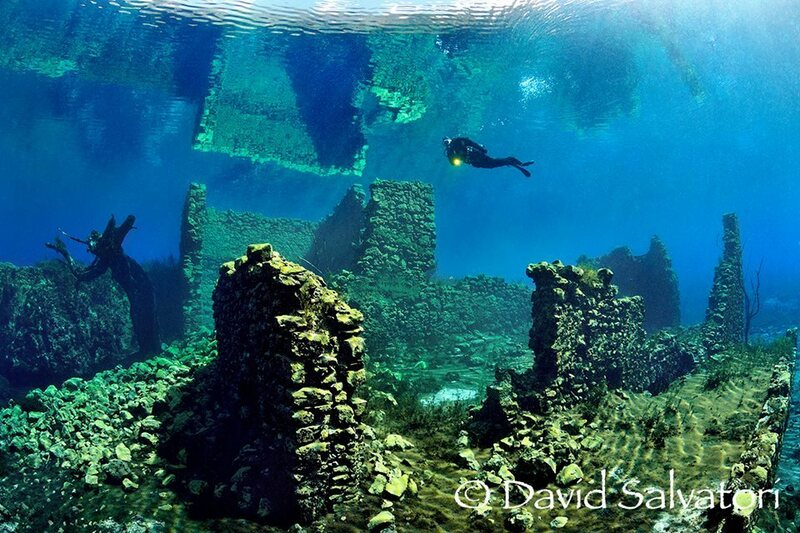 Why not try one of these best dive sites in the world? Sipadan is a very small island on the East Coast of Sabah Malaysia. If you want wall of coral where sharks come cruising by and barracuda surrounding the place, Barracuda Point in Sipadan is perfect for you. 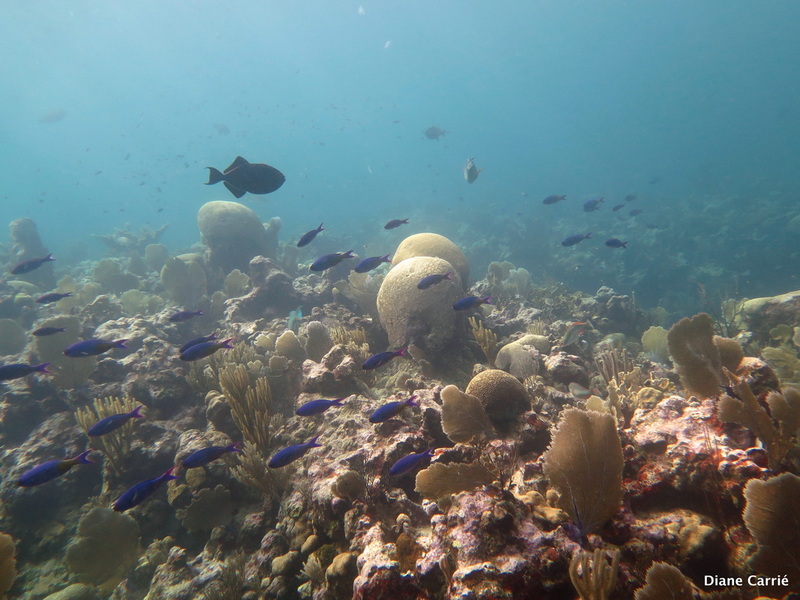 The site also boasts with white tips, turtles, grouper, jacks and bumphead parrotfish. Blackish point is located in Utila, a tiny mangrove island in Bay islands. Its name was derived from the volcanic rock that forms the wall paralleling shore. 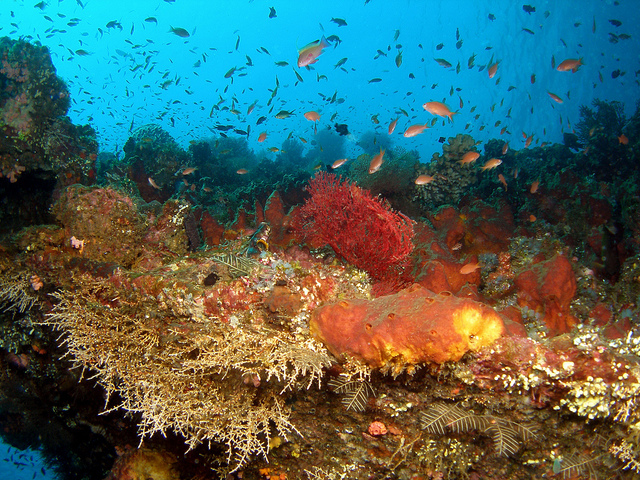 The upper section of reef is covered with healthy hard and soft corals. The site shelters goliath grouper, huge lobsters and by chance, “Old Tom,” Utila’s resident legendary whale shark. A lot of weird marine life lurks in the shallows of Riviera Beach. Flying gurnards, bandtail sea robins and striated frogfish commonly populate this site which make it popular for divers. Capo d’Acqua is a small lake filled with clear spring water that highlights medieval ruins of two mills and a paint factory. The site is also home to some exciting fauna which includes fario or brown trout. Darwin’s Arch is famous for massive whale sharks that patrol the blue, turtles, burly Galapagos sharks, tiger sharks on the safety stop, free-swimming moray eels, eagle rays and schooling hammerheads. 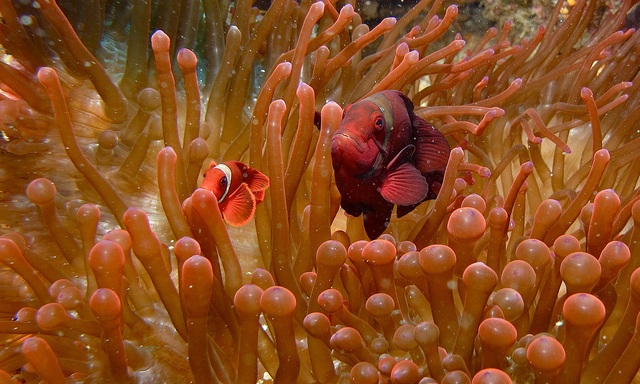 This dive site is rich in coral reefs of vibrant colors. Enormous tuna, sharks, octopus and other pelagics also inhabit the place. Descending another 25 m and you can explore the stalagtites and stalagmites of ancient caverns. Liberty was a United States Army cargo ship torpedoed by a Japanese submarine in January 1942 and beached on the island of Bali. The wreck is very popular because it is encrusted in anemone, gorgonians and corals. The black sand provides an excellent backdrop for the variety of marine life. The wreck is inhabited by a huge school of big-eyed trevally and over 400 other species of fish which are mostly very tame. Nakwakto Rapids, one of the top cold water dives is listed on the Guinness Book of World Records as having one of the strongest currents in the world. It is home to the famous Turret Rock, a rock which stood defiant in the middle of the churning currents of the Nakwkto Rapids. 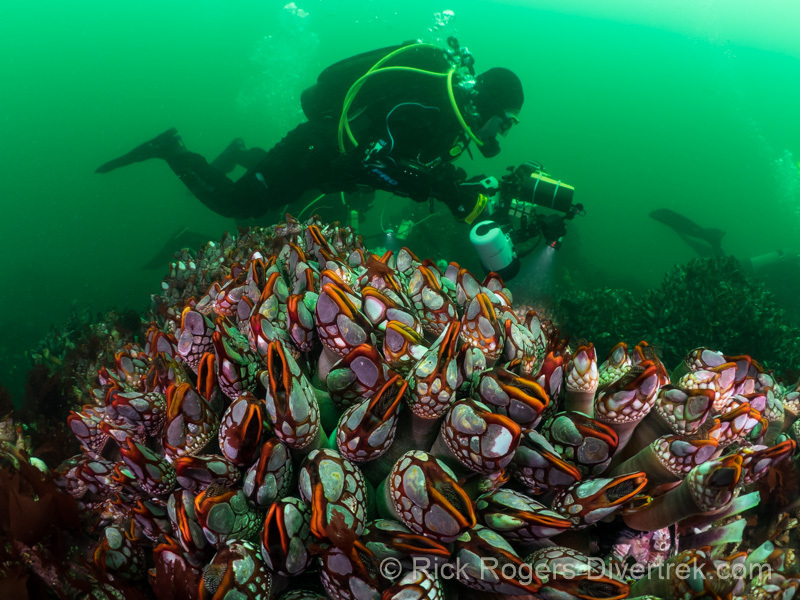 The site is the realm of giant gooseneck barnacles, an oversize crustacean found few other places. Along with the barnacles are crabs, painted greenlings, sculpins and a colorful palette of anemones. 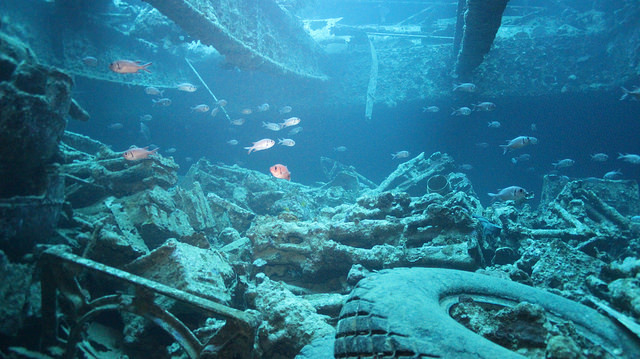 Thistlegorm is a British vessel which was attacked from air and sunk by a German bomber in 1941. This large wreck that lies in the Strait of Gubal is the main attraction in the Red Sea region for divers. A UNESCO World Heritage site, Tubbataha Reef Marine Park is a protected area of the Philippines located in the middle of the Sulu Sea. The site is popular for its very high density of marine species, pristine coral reef, extensive lagoons and coral atolls. Yes! 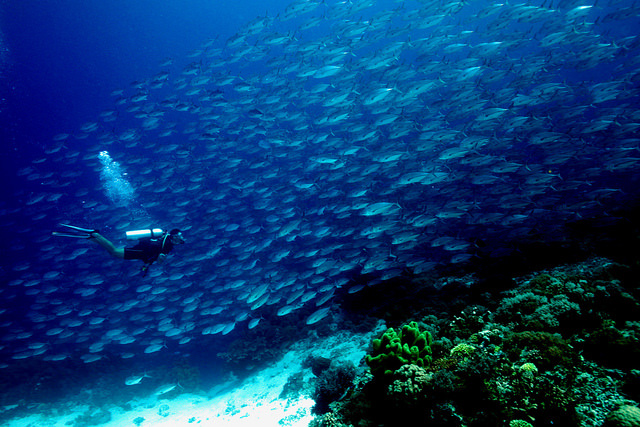 Tubbataha is one of the great diving spots where people can explore the majestic waters of the place. I always believe that PH has wonderful water world. If only I have the courage to go to the waters, I already did. wow, this is really an awesome list. I’m not really into diving, but I’ve been planning to explore our rich marine life soon. 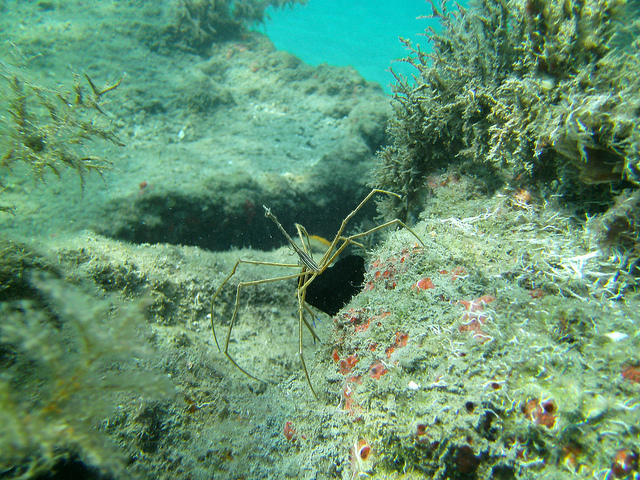 I’ve read a lot of good things about Galapagos and Palawan as they offer a perfect haven for those that loves to dive. Some on your list are also beautiful and interesting, I’ll surely check them. Thank you so much for sharing! I wish I can dive soon. You can find more great dive spots in the Philippines aside from Palawan. 🙂 We have plenty of nice beaches also. I have friends who love diving and surfing. Sadly, I am not that brave to try these things. Awww… I have not been to any of them yet 🙁 Such beautiful world down there. The wreck in Egyptian Red Sea saddens me. 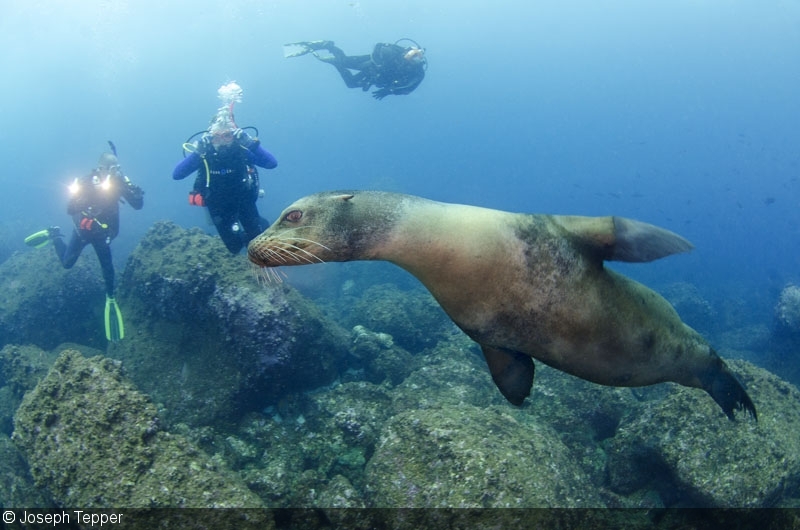 Diving is truly a wonderful activity to do! I speak as if I tried it but truly, it’s a dream! 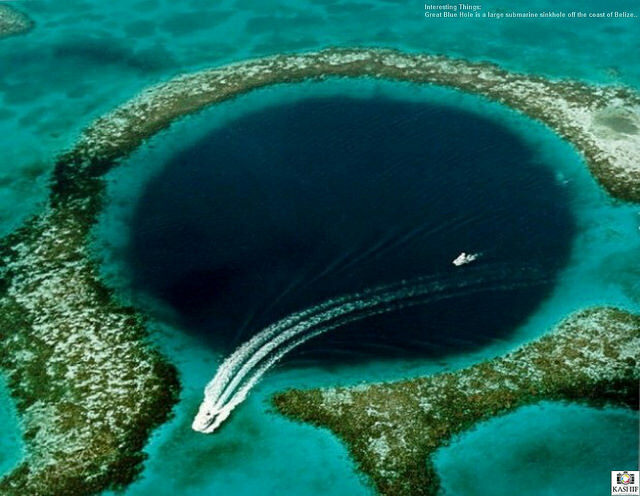 The Great Blue Hole always keep me curious about the sea. But, do you dive? Scuba diving is in my bucket list for too long. If I get a chance, I would not miss that chance to explore the wonderful world down there. One of my friends visited Thailand and she couldn’t stop telling us her diving stories. It was too tempting to under the water. In Sri Lanka also, I think it is getting famous there recently. I have been to Egypt and Italy and they are great. But that Belize looks so luring right now. It is simply amazing and I would love to dive there. Other places are great too but Belize is definitively my first choice. I never went diving. I went for snorkeling and I loved it. I did that in Egypt, several times. The water there is amazing, but the top 10 you’re showing is even more impressive!